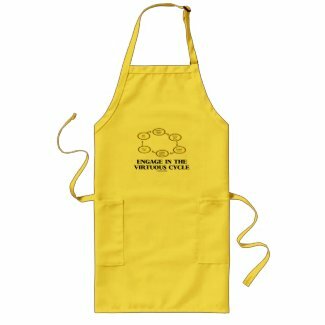 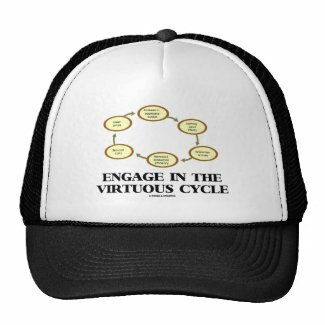 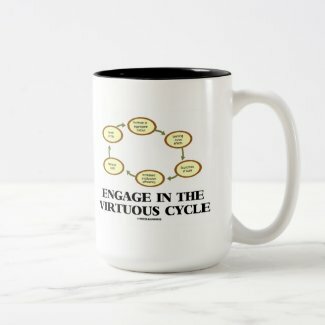 Showcase your knowledge of macroeconomics with a dose of business cycle attitude with any of these gifts featuring the virtuous cycle (virtuous circle) in macroeconomics along with the following saying "Engage In The Virtuous Cycle". 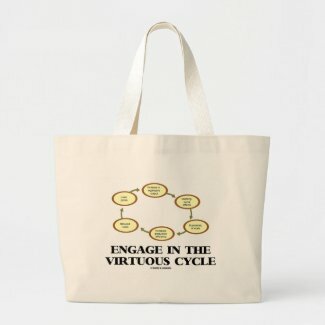 Make others do a double-take with economics humor today! 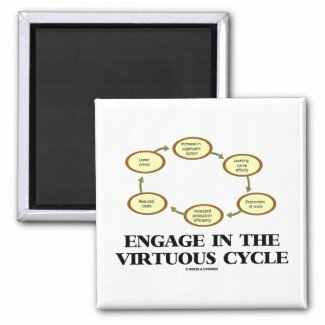 Design custom round magnets on zazzle. 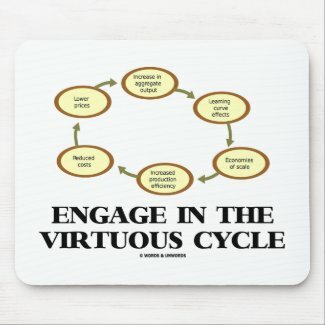 Design custom photo coasters at Zazzle. 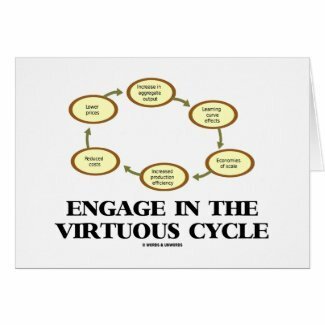 View other stamps for postcards and more.